I think that people get to a certain point in their life and they think that nothing can change. We all fantasize about a relationship we'd like to do over or something we'd like to change about our past. I think there are a lot more opportunities for second chances in our lives than we think. You know as far as diet goes, for a while I was really obsessed with counting fat grams along with the rest of the world. Lately, I just let myself eat it more because I think, 'Oh, my God, a piece of cheese tastes so good'. I think it's your body telling you something. I quit smoking the day I found out I was pregnant, which was nine years ago. But I'll still smoke in a movie. I have other vices, you know, like potato chips and chardonnay - but not together. Jean Smart is a married woman. She is married to actor Richard Gilliland. The pair met while working on the set of ‘Designing Women.’ They married on 7 June 1987. The couple has two children together, Connor Douglas and Bonnie Kathleen. Their marriage is going strong as there is no news regarding any extramarital affairs at present. 1 Who is Jean Smart? 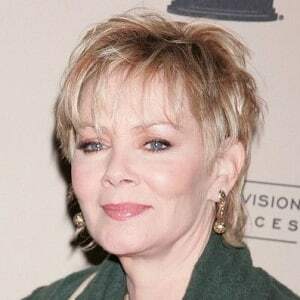 Jean Smart is an American actress. People mostly know her for her role as Regina Newley on the ABC’s ‘Samantha Who?.’ Additionally, she has appeared in several other movies and television series including ‘Legion’, ‘Fargo’, and ‘I Heart Huckabees’ among others. Smart was born in Seattle, Washington as Jean Elizabeth Smart on September 13, 1951. She was born to parents Kay and Douglas Smart. When Smart was 13 years old, she was diagnosed with type 1 diabetes. Additionally, she was interested in the world of acting since an early age. She is of American nationality. Furthermore, she belongs to a mixed ethnic background of Scottish, English, Irish, and Welsh. Talking about her education, Smart attended Ballard High School in Seattle. In addition, she graduated from the University of Washington. Smart initially began her career appearing in regional theater throughout the Pacific Northwest. 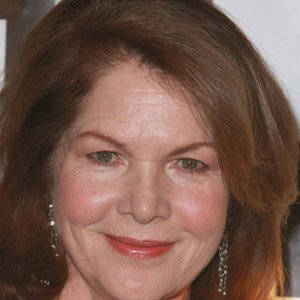 In 1979, she appeared in the TV movie ‘Before and After.’ Additionally, in 1980, she played Carol in the movie ‘Hoodlums.’ In 1981, Smart played the Woman on Bus in the TV series ‘Another World.’ Since then, she has appeared in numerous other movies and television series. All in all, she has over 100 credits as an actress. 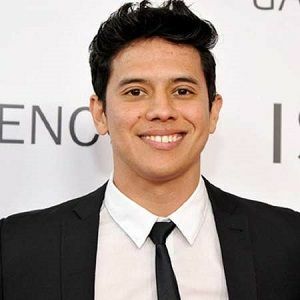 Some other movies and television series that Smart has appeared in are ‘Dirty John’, ‘A Shoe Addict’s Christmas’, ‘Brampton’s Own’, ‘A Simple Favor’, ‘Life Itself’, ‘Awaken the Shadowman’, ‘Veep’, ‘Angie Tribeca’, ‘Bad Internet’, ‘The Accountant’, ‘Girlfriends’ Guide to Divorce’, ‘Fargo’, ‘The McCarthys’, ‘Sirens’, ‘Getting On’, ‘Warren’, ‘Call Me Crazy: A Five Film’, ‘Harry’s Law’, ‘William & Catherine: A Royal Romance’, ‘Psych’, ‘Woke Up Dead’, ‘Samantha Who?’, ‘Hero Wanted’, and ‘Kim Possible’ among others. Furthermore, Jean also has 2 credits as a producer. Smart has won three Primetime Emmy Awards. Additionally, she has also won the Critics’ Choice TV Award and Gold Derby TV Award. All in all, she has 10 wins and 14 nominations for various awards to date. Smart has not revealed her current salary. However, she has an estimated net worth of around $ 4 million at present. Smart has not been part of any notable controversies in her career. Furthermore, at present, there are no rumors concerning her life and career. Talking about her body measurement, Smart has a height of 5 feet 10 inches (1.78 m). Additionally, she weighs around 58 kg. She has a body measurement of 37-28-37 inches (94-71-94 cm). Furthermore, her hair color is blonde and her eye color is blue. Smart is not active on the social media. She does not have his official Twitter account. Additionally, she is not active on Facebook and Instagram as well. 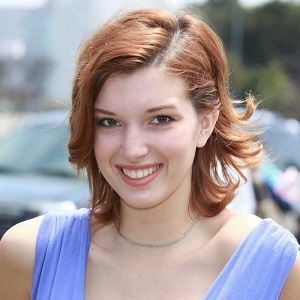 Also know more about the early life, career, net worth, relationships, and controversies of other actresses like Jennifer Aniston, Scarlett Johansson, Natalie Portman, Emma Stone, and Julia Roberts. The Miranda Impact: ‘Evan is more social now!’ Let’s delve more into this amazing relationship! Karlie Kloss: her rising career, her new ventures, her focus on her health, and her efforts towards women empowerment! Know it here!